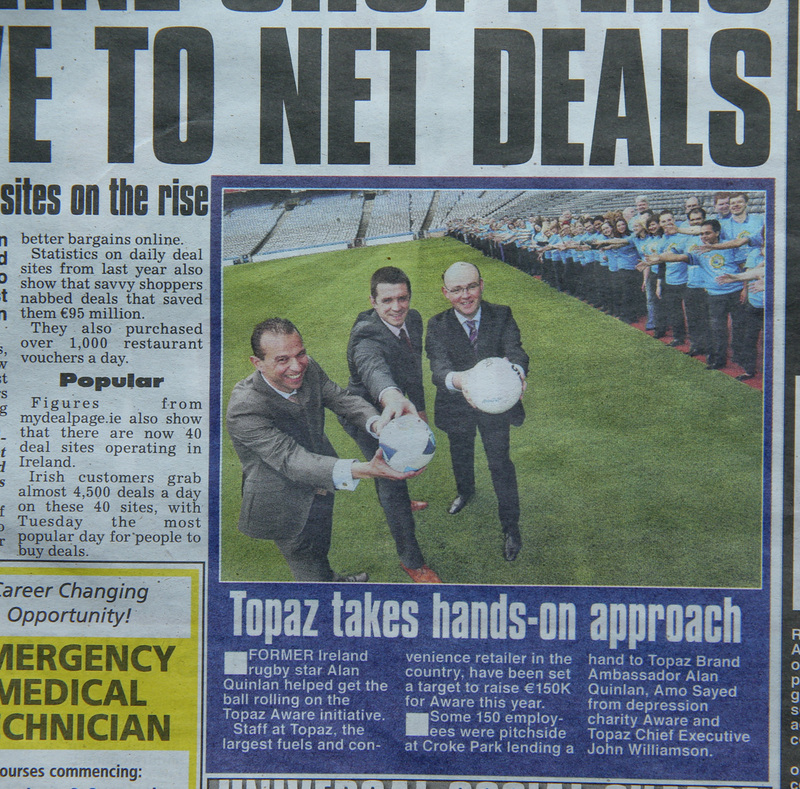 Staff at Topaz, the largest fuels and convenience retailer in the country, have been set a target of raising €150K for their chosen charity Aware over the next year. 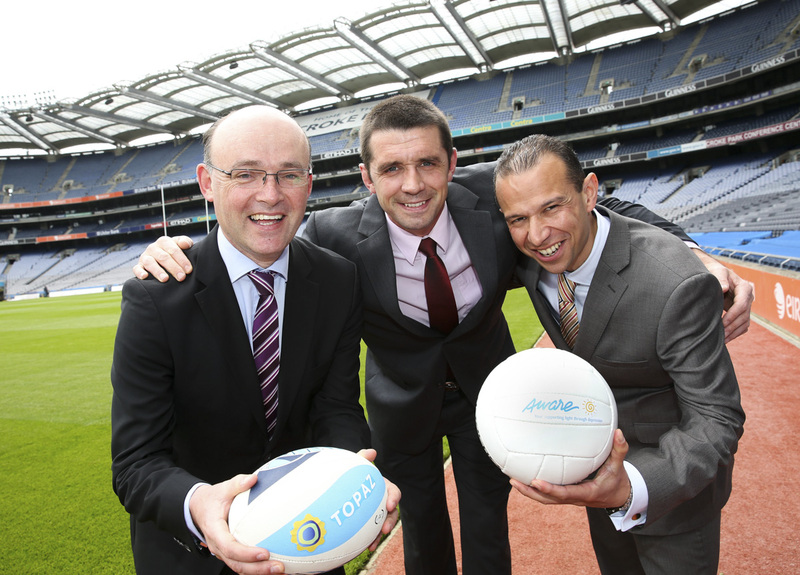 The initiative was launched in Croke Park where 150 employees and members of the Company’s Corporate Social Responsibility team were joined by Topaz Brand Ambassador Alan Quinlan. 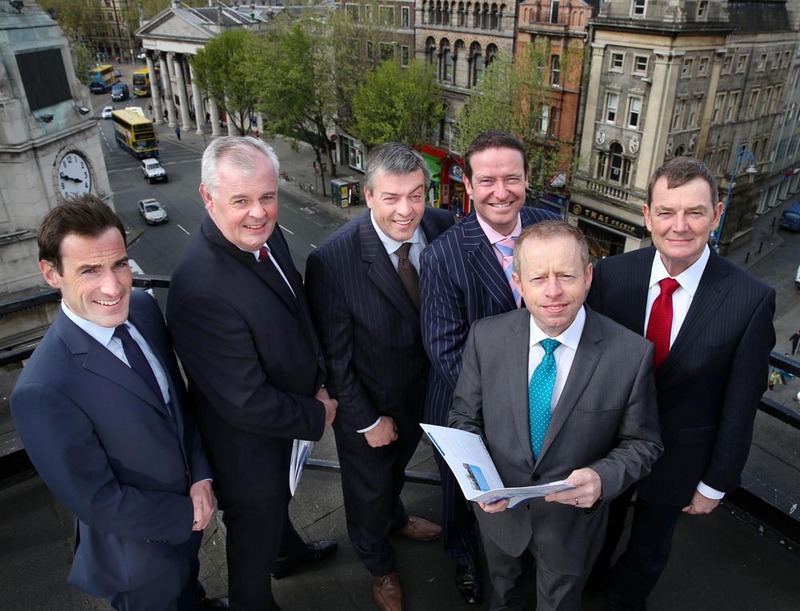 The former Irish rugby international, who has suffered from depression in the past, stressed the importance of seeking help. 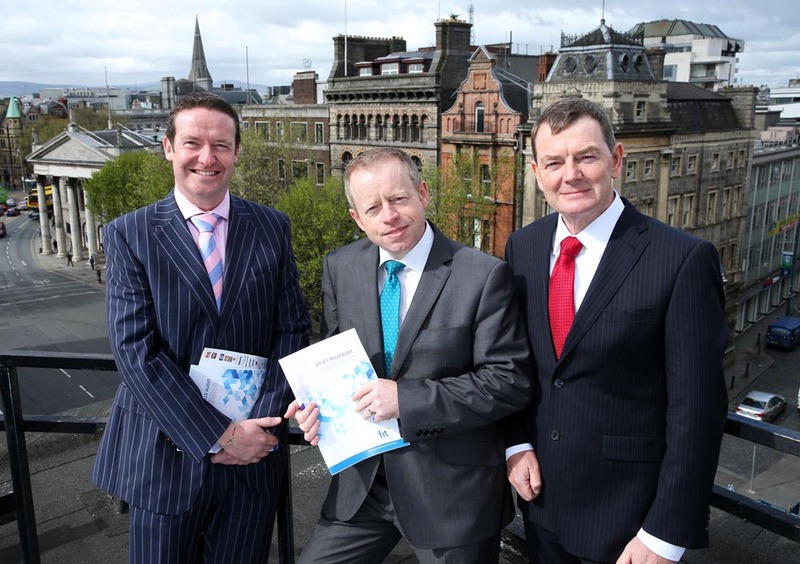 He is pictured with Amo Sayed from Aware and Topaz CEO John Williamson. 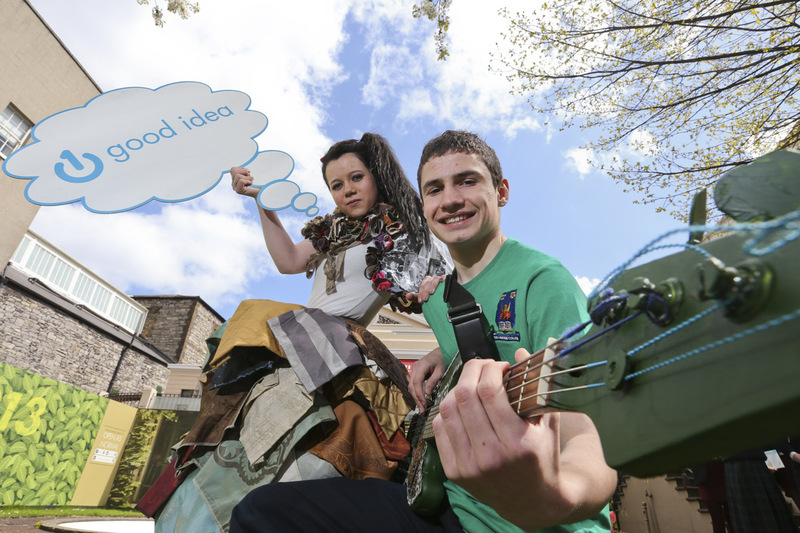 For more information on depression and Aware’s support services see www.aware.ie; Lo Call 1890 303 302 or email wecanhelp@aware.ie. 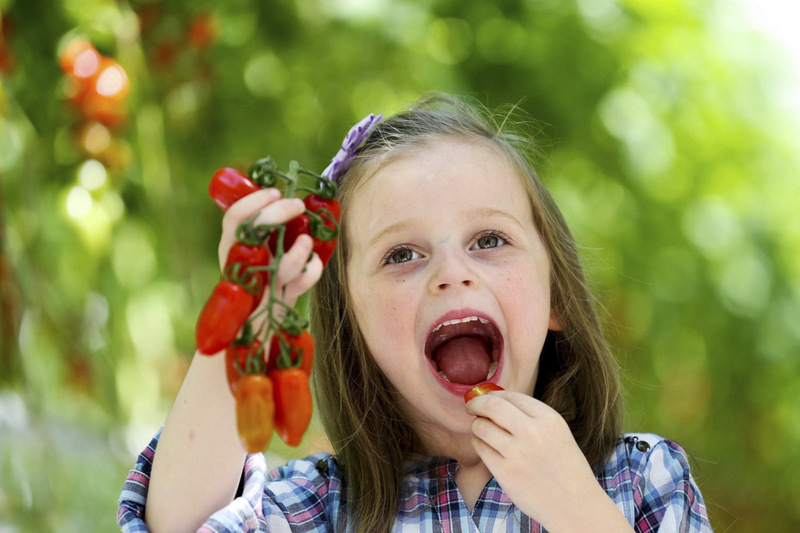 Celebrate National Fish & Chips Day. 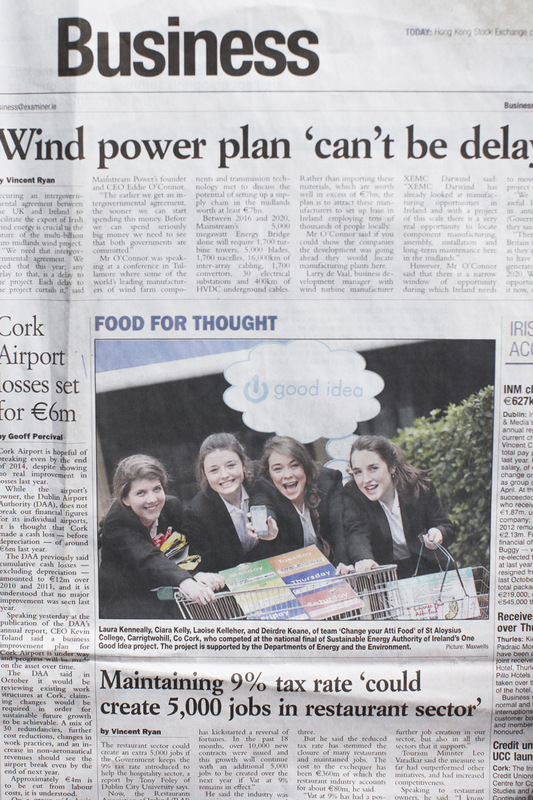 PIC SHOWS: model Karena Graham celebrating National Fish & Chips Day. 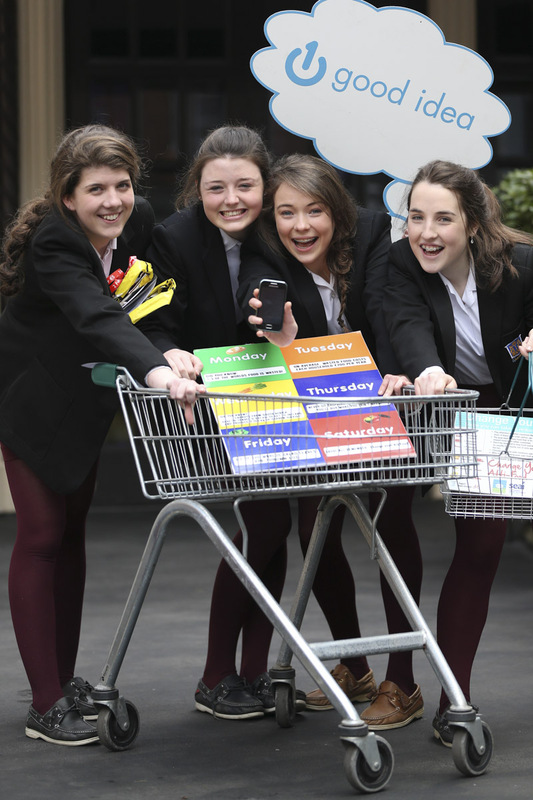 Over 200,000 people are expected to visit their local ITICA chipper today, Wednesday 29th May, to celebrate National Fish & Chips Day. 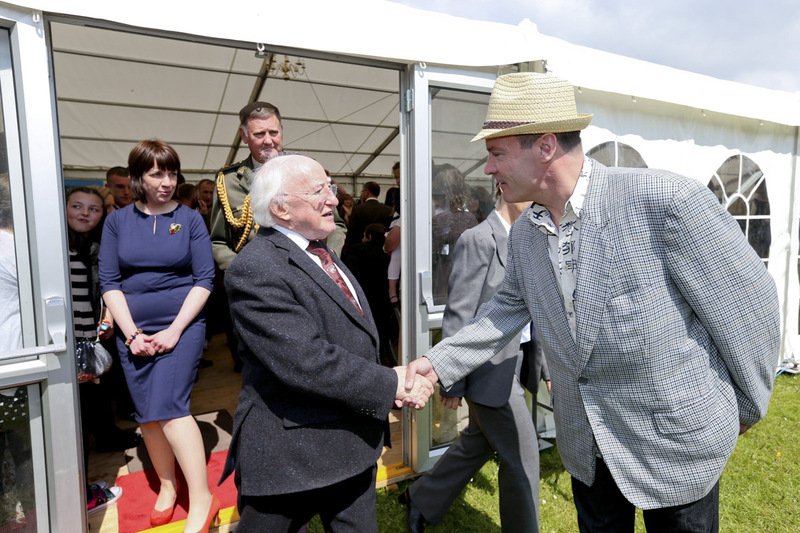 Now in its fourth year, National Fish & Chips Day was created by the Irish Traditional Italian Chippers Association (ITICA) to celebrate the 128 year old tradition of Fish & Chips. 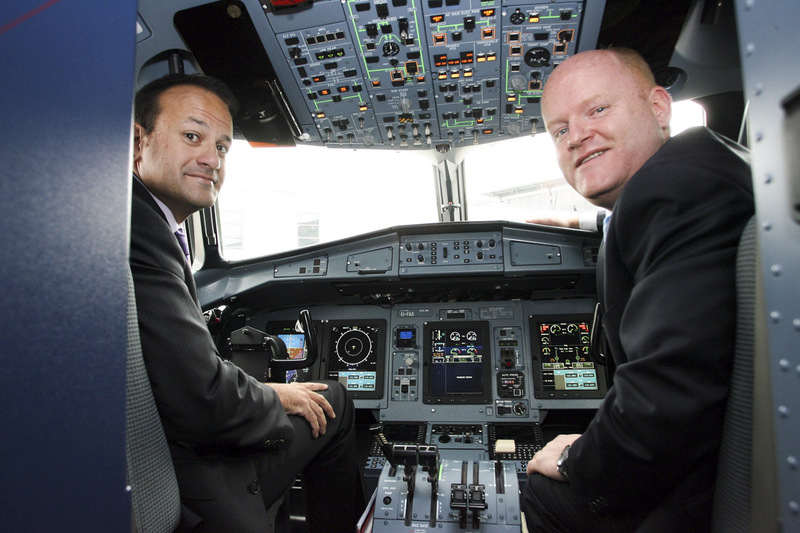 Over 200 ITICA members throughout Ireland will take part and offer their customers half price Fish & Chips to mark the occasion. 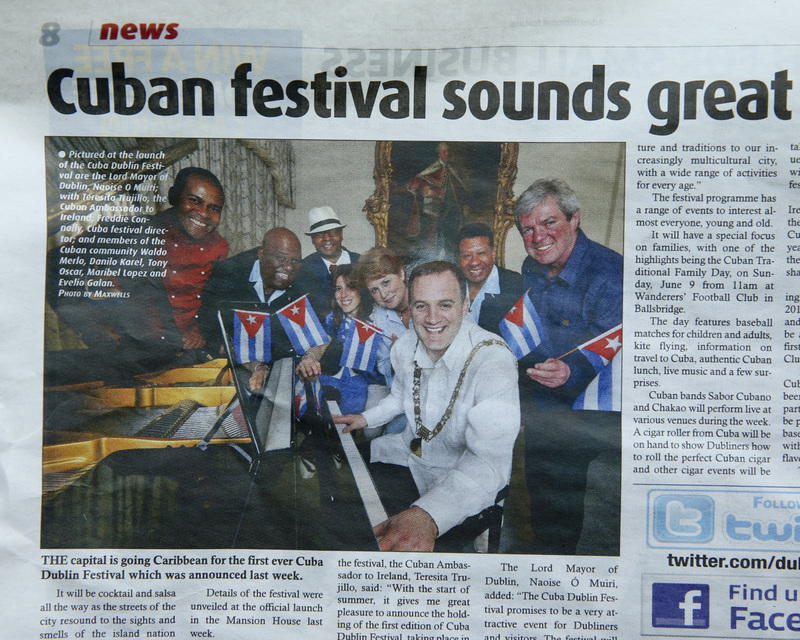 Launch of CUBA Dublin Festival by Lord Mayor of Dublin Naoise O Muiri at the Mansion house in Dublin. 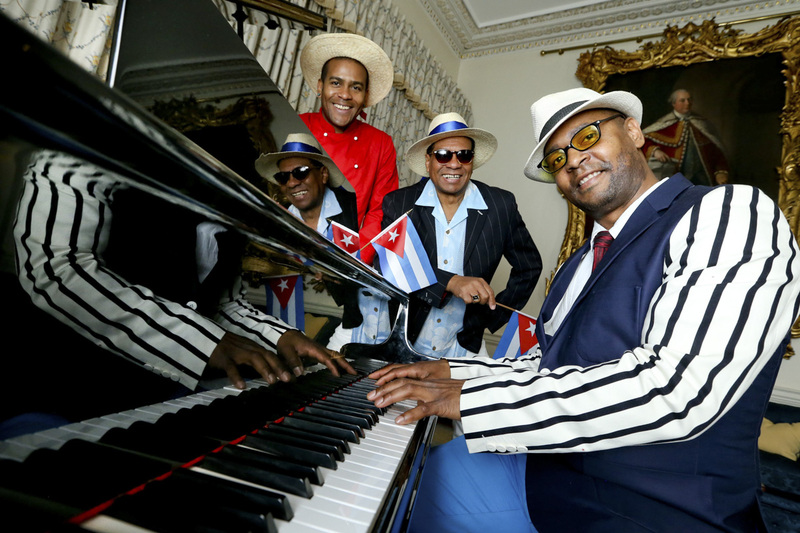 CUBA Dublin Festival promises to be a very attractive event for Dubliners and visitors and will bring the spirit of Cuban culture and traditions to a increasingly multicultural city , with a wide range of activities for every age. 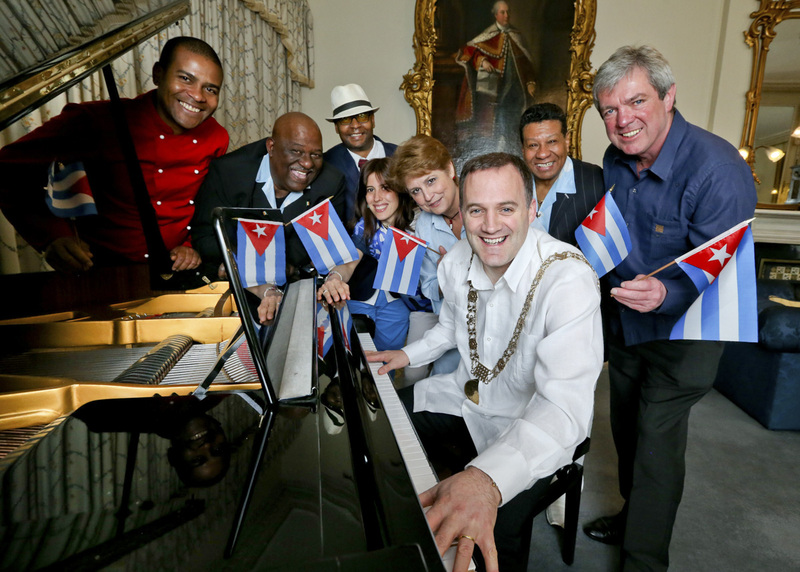 Pic shows the Lord Mayor of Dublin Naoise O Muiri with to his left Ms Teresita Trujillo the Cuban Ambassador to Ireland and right Freddie Connolly Cuba festival director surrounded by members of the Cuban community from left Waldo Merlo ,Danilo Karel, Tony Oscar , Maribel Lopez and Evelio Galan. 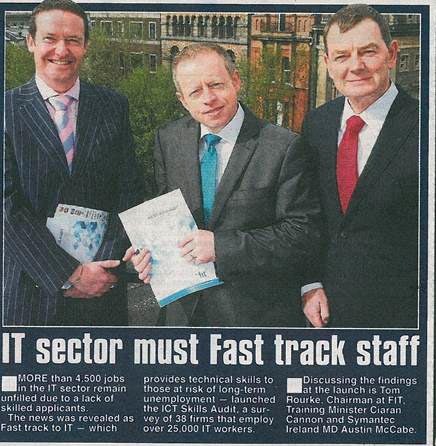 Fastrack to IT (FIT), an initiative led by the technology industry in Ireland that provides those at risk of long-term unemployment with marketable technical skills, today launched the FIT ICT Skills Audit, a survey of 38 companies and representative SME’s that together employ in excess of 25,000 people in the IT sector in Ireland. 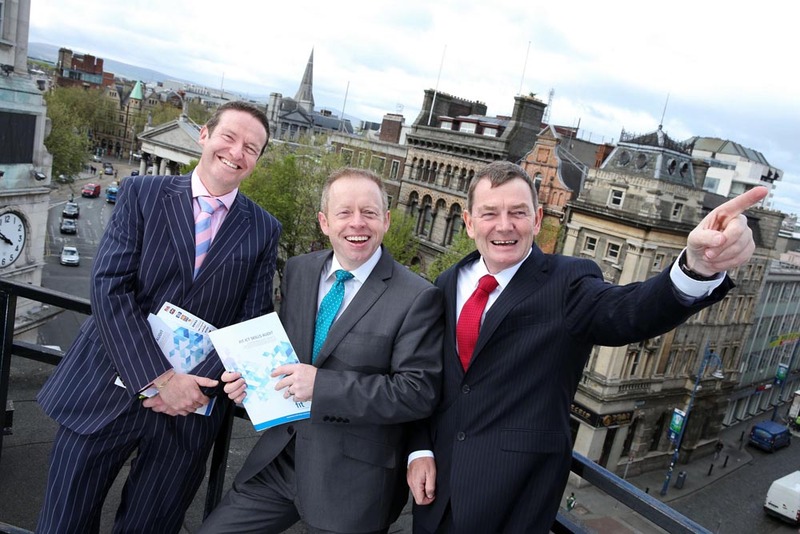 The results of the survey provide a picture of an industry which has the potential to create significant additional employment opportunities. 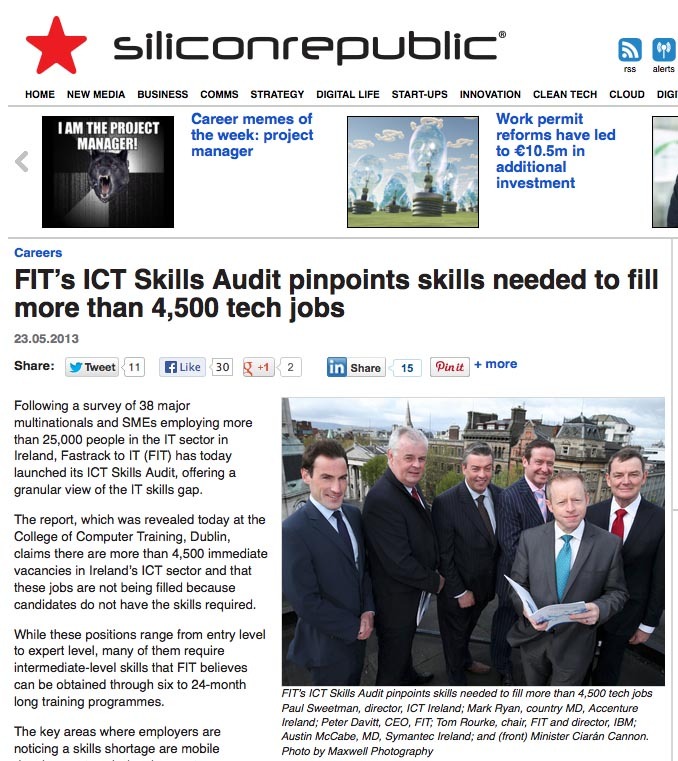 The survey estimates that there are in excess of 4,500 immediate job vacancies in the IT sector in Ireland which are not being filled due to the severely limited supply of suitably skilled applicants. 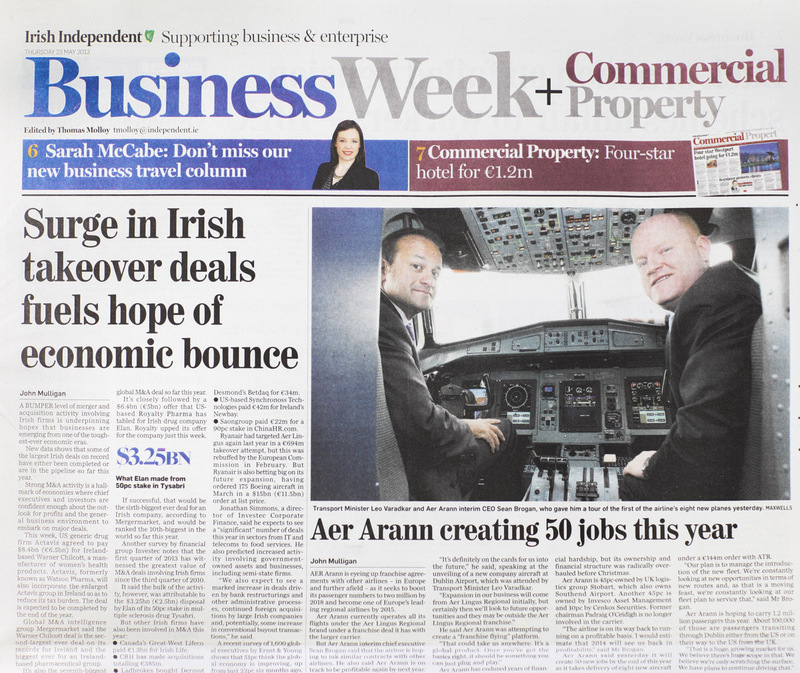 Aer Arann’s announces 50 jobs as part of the airline’s ‘new beginning’ strategy. 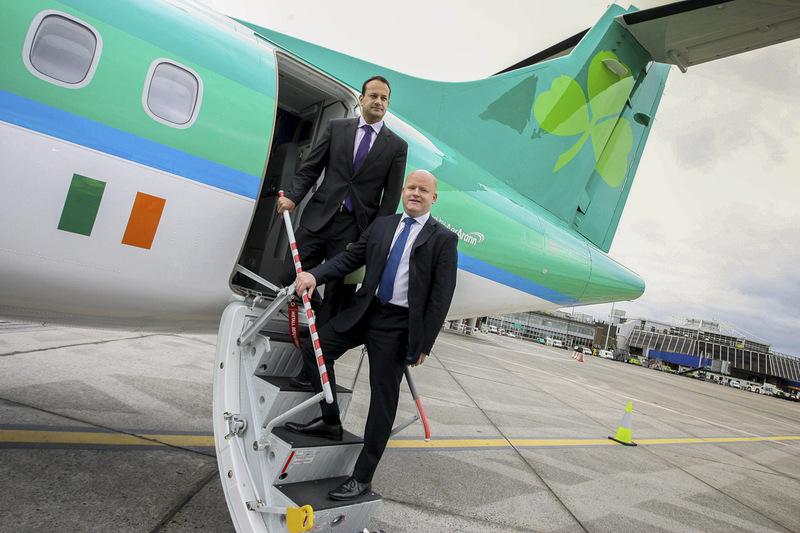 Minister for Transport, Tourism and Sport, Leo Varadkar and Seán Brogan, Interim CEO, Aer Arann gave him a tour of Are Arann’s first of eight new aircrafts when they announces 50 jobs as part of the airline’s ‘new beginning’ strategy at Dublin Airport . 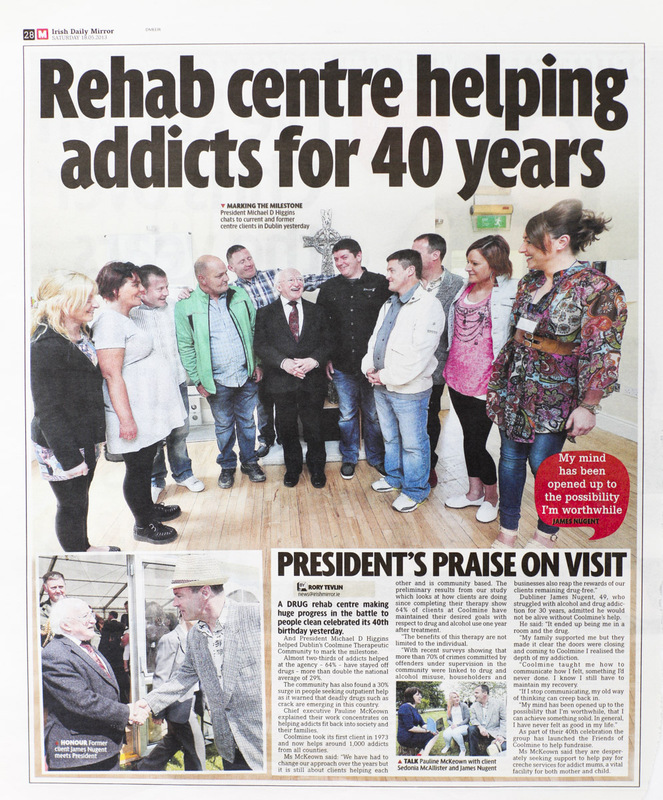 President Michael D Higgins visited Coolmine Therapeutic Community on its 40th anniversary. 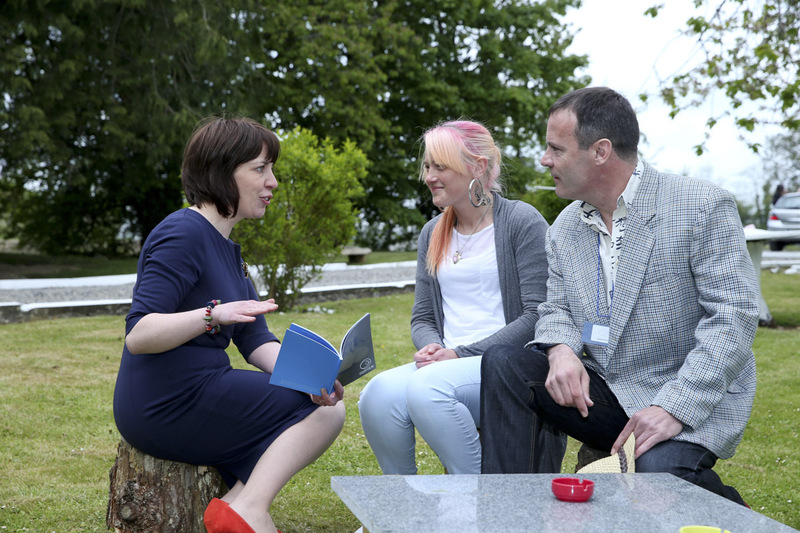 Pictured at Coolmine Therapeutic Community’s 40th Anniversary, where survey results showed that 64% of clients stay drug-free after Coolmine therapy. 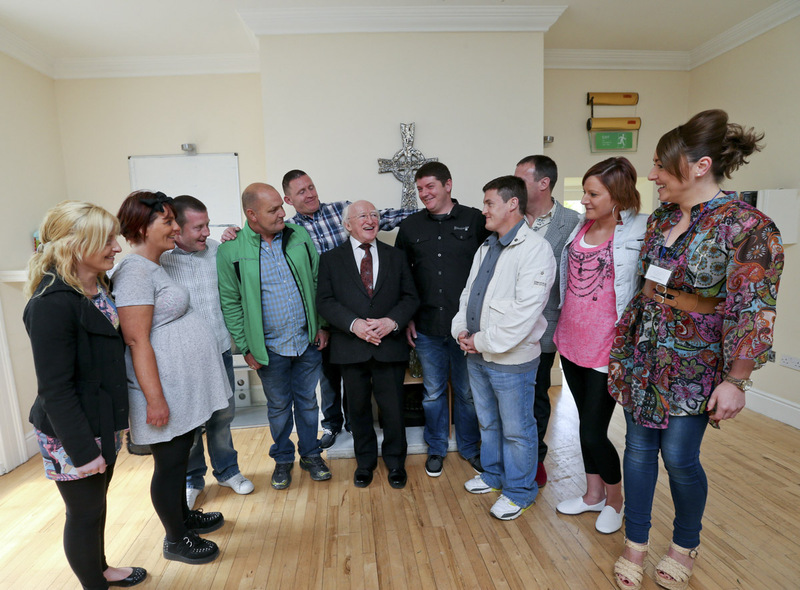 (National Average 29%) are President Higgins as he shares a moment with current and former clients of the Coolmine Therapeutic . 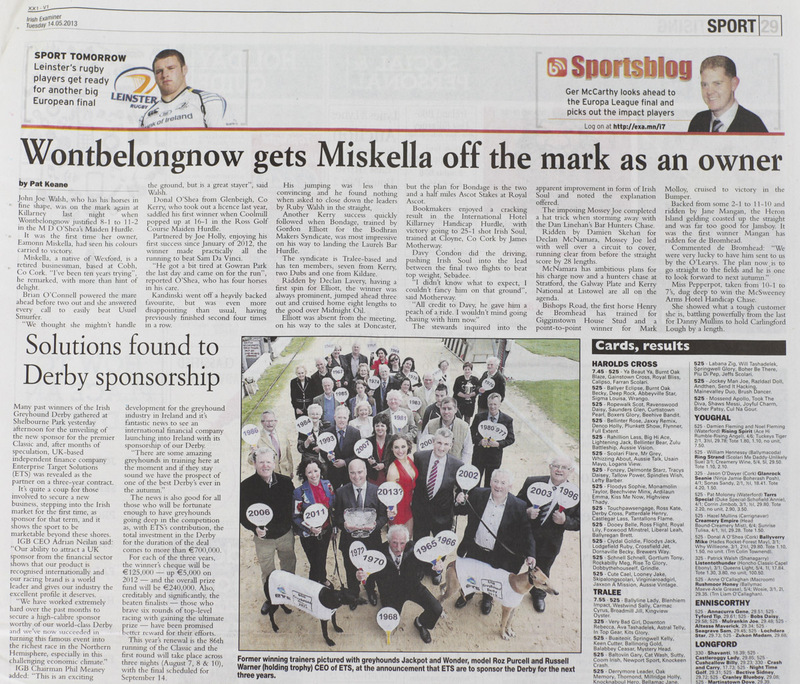 Shelbourne Park Pic shows Model Roz Purcell with “Wonder” who was on hand today to help the Irish Greyhound Board (IGB) anounce a new and exciting three-year sponsorship agreement with UK-based independent finance company Enterprise Target Solutions (ETS). 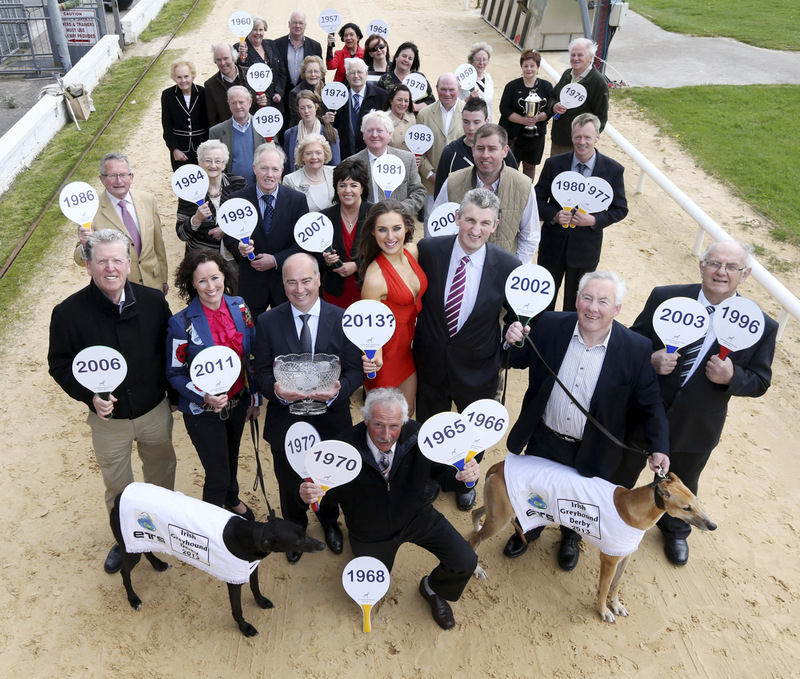 The brand new deal with ETS will see the overall investment in the Irish Greyhound Derby run to just under €750,000 for the coming three years and also makes this year’s event the richest race in the northern hemisphere with an overall prize fund of €240,000 which is remarkable given the current challenges facing the depressed sports sponsorship market here. 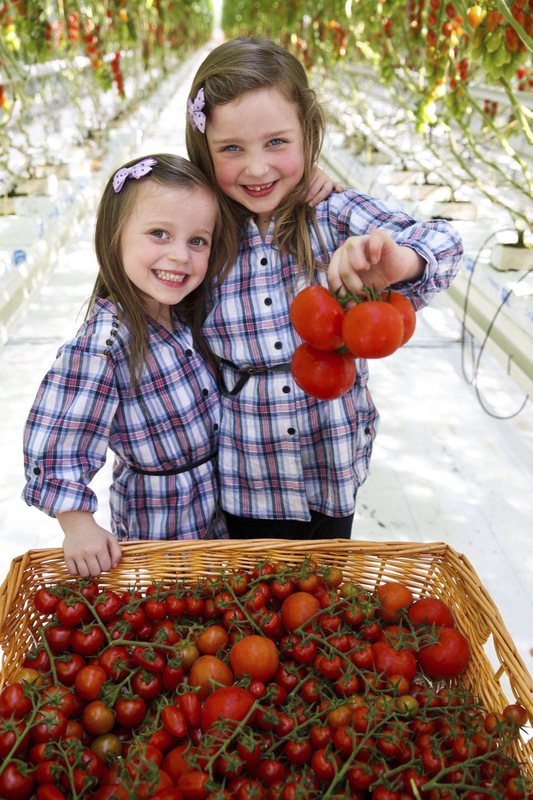 Irish Flavorita Tomatoes Now Available Exclusively in SuperValu Sisters Sarah age 5 and Emily Darley age 7 got a taste of the new Tomatoes of the season . 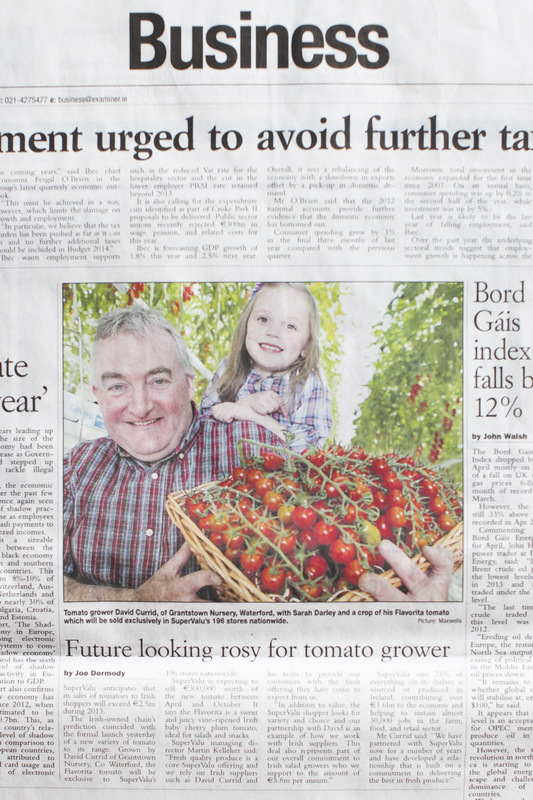 SuperValu, Ireland’s leading community retailer, is expecting to sell €2.5 million worth of Irish tomatoes in 2013. 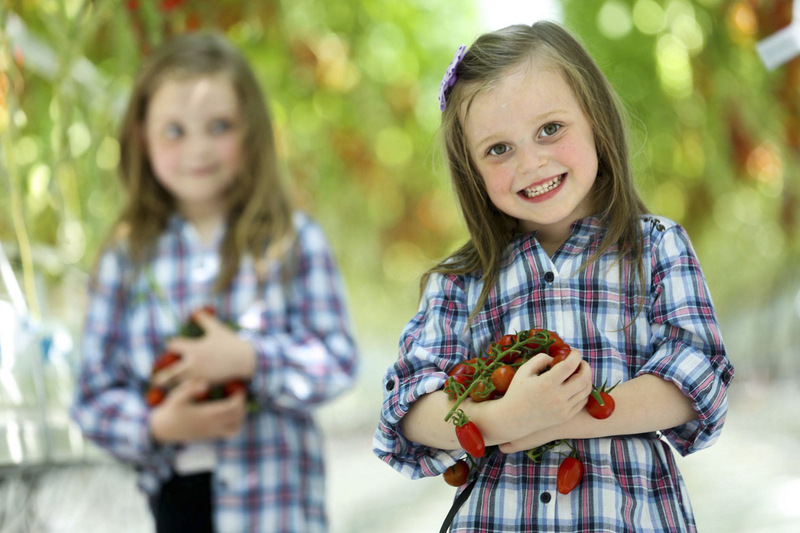 Extending the range this year, a new variety of Flavorita tomato is now available exclusively to SuperValu stores nationwide. 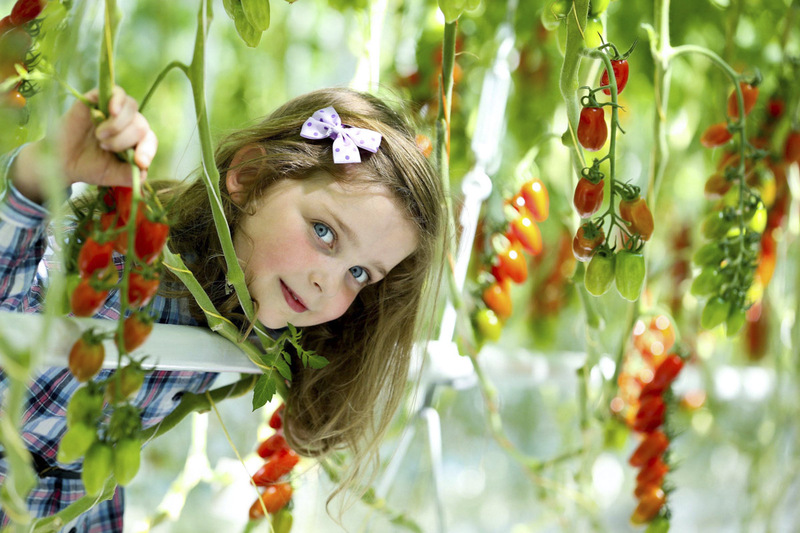 Grown by Irish grower David Currid from Waterford, the Flavorita Tomato is a sweet and juicy vine ripened Irish Baby Cherry Plum Tomato. 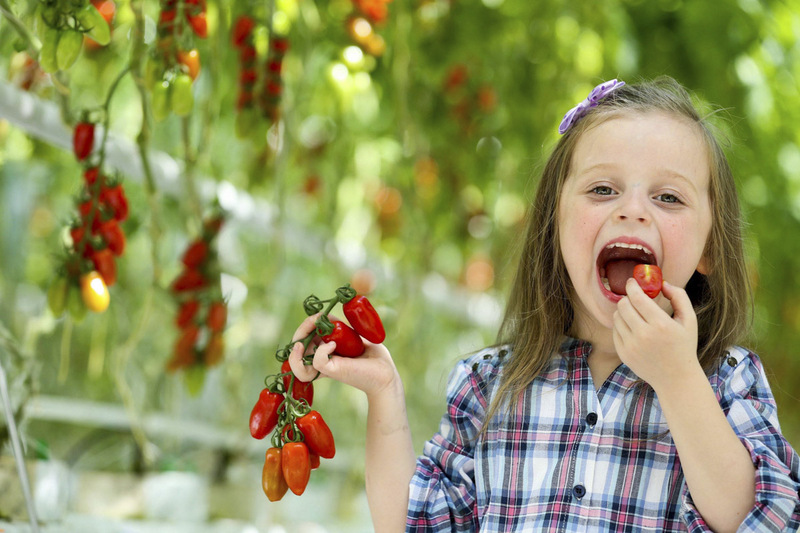 Its sweet taste makes it ideal for salads and snacks, and is a great addition to the kids lunch box. 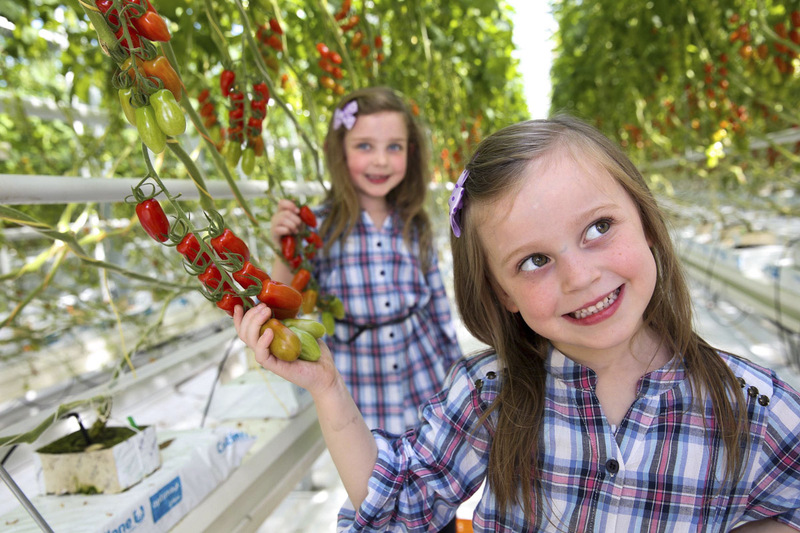 SuperValu is expecting to sell €300,000 worth of the Flavorita tomato variety between April and October. 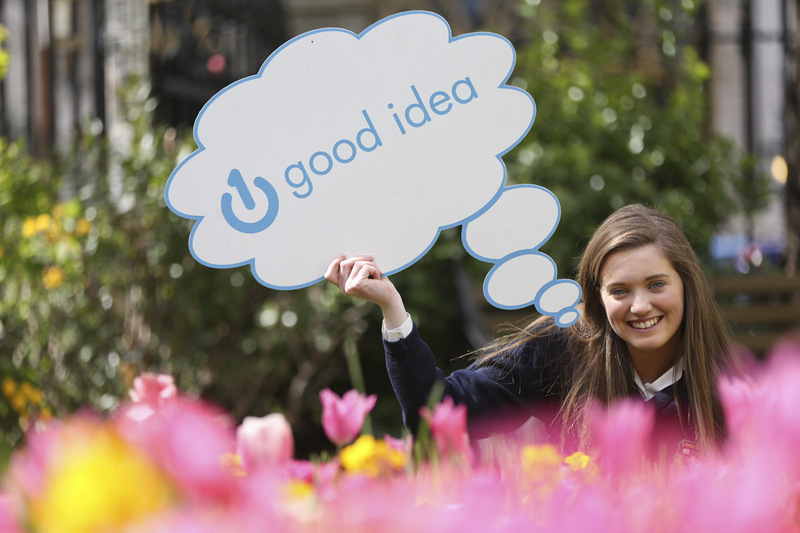 The students showcased their work among 10 competing schools chosen as finalists from around the country to exhibit at the prestigious national final at the Mansion House.